Freezing your cojones off on a cold construction site isn't just bad for the soul, it can also lead to sore muscles and joints unless you learn how to protect yourself. If you work in construction you'll no doubt be familiar with the trials and tribulations of working outside during the winter. Personally I've lost count of the amount of December and January days I've spent outside rubbing down windows and doors. With the wind whipping and chapping my face, ears tingling, eyes watering, fingers numb and cutting up from the sandpaper. It's at this point you begin to seriously question your life choices! Nipping inside for a cup of tea is a blessing but you're back out in the cold again soon enough. So all in all working in the cold is hard going. But the bigger problem is many of us make this situation even worse by not adequately preparing for the cold. Because working in the cold without the right protection can also lead to pain in your muscles and joints. So you need to learn how to wrap up warm to protect yourself from the cold and elements as much as possible. Read on and I'll explain how. Aside from the obvious benefit of being more comfortable, it's crucial that you try and conserve as much heat as possible when working outside in the cold. And aside from that frightening list of ailments, working in the cold can also be hard on your muscles and joints. Now you may have felt extra pain and stiffness in your body yourself when the temperature begins to drop. As your muscles can feel tighter and more achy in the wintertime, while your joints start to creak and give you jip. This is especially the case with your weight-bearing joints such as your knees, hips, and ankles. And while there isn't any solid scientific evidence as to why this happens, there are a couple of plausible theories. We all know how nasty that sharp pain is! There are a two things that could be causing your joints to hurt when the weather turns cold. Firstly the colder air brings with it a lower barometric air pressure and this can cause different reactions within your body tissues. For instance, it can cause the soft tissues in and around your joints to expand. Which leads to these expanded soft tissues both constricting the movement of your joints and pushing on the nerves surrounding them, which causes you irritation and pain. And secondly your body goes into survival mode to conserve heat when it's exposed to cold weather without the right protection. It does this by increasing the blood flow to your core, which helps your vital organs and heart to stay warm. However, by doing this the blood flow to other areas of your body (such as your joints, hands and feet) becomes restricted. Meaning they don't receive the amounts of oxygen and nutrients they need to stay healthy, which makes them colder, stiffer, and more painful. The pressing on the nerves that comes with soft tissue expansion can also spread into your muscles causing pain. Also the restriction of blood flow and subsequently oxygen and nutrients will have a detrimental effect on your muscles being able to stay healthy and work as they should. And the cold weather will cause your muscles to lose even more heat. Which can lead to them contracting and tightening, causing a loss of flexibility and a limited range of motion within your body. Both of which will mean your muscles have to work much harder than usual as you work, which will leave them strained and in pain by the end of the day. So you need to learn how to keep your body and muscles warm as you work to stop these problems with your muscles and joints from happening. So now you know why you need to protect yourself against the cold I'm going to give you a few tips on how to do it. And this is even more important if you have persistent back pain. Because the cold air can make any pre-existing pain conditions a hell of a lot worse too. So go through this list and try to incorporate as many as you can into your working day. Try to conserve as much of your body heat as possible by layering up with the right clothing. Cover as much of your skin as possible. Don't work outside for too long at any one time. Take regular breaks in a warm room. Make sure you keep your body fueled up with hot food and drinks. Keep moving while outside to keep your blood pumping and body temperature up. Getting your layers of clothing right is probably the most important aspect of staying warm, dry, and safe while working in cold conditions. As the Swedes say "There is no such thing as bad weather, only the wrong clothing". And they should know, right? But just wearing multiple layers isn't enough. As you need to make sure that each layer is suited to the task it needs to perform. Base layer - This needs to be insulated and moisture wicking to keep your skin dry and free from sweat. Middle layer - This needs to be breathable yet insulating to trap body heat in and keep you warm. Outer layer - This should be windproof and waterproof to protect you from the elements. So let's look at each one in more detail. The base layer of your clothing has two important roles to play. Firstly it needs to be insulated so you can conserve as much body heat as possible. And secondly it needs to be moisture wicking so it can draw sweat away from the body to keep you dry. This is crucial as sweat takes heat away from the body much faster than air can and will make it impossible to stay warm. So you need to avoid sweat on your skin to stop yourself catching a chill and a good base layer will allow you to do that. For this you should avoid cotton as it soaks up moisture and instead opt for a synthetic or wool blend that will wick the moisture away. 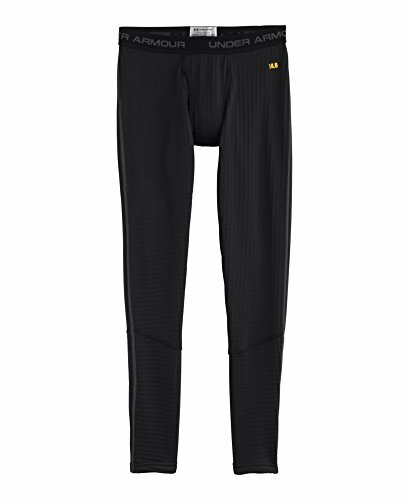 And some good options for your base layer are the Under Armour 4.0 Base Layer Crew Top and Leggings. As these are made of an elastane and polyester synthetic blend which will keep you toasty and dry as you work. Just make sure they are moisture wicking and you're good to go. The job of your middle layer of clothing is to insulate your body to lock in heat but also allow it to breathe so you don't get too sweaty or overheated. And a good material for this is fleece. 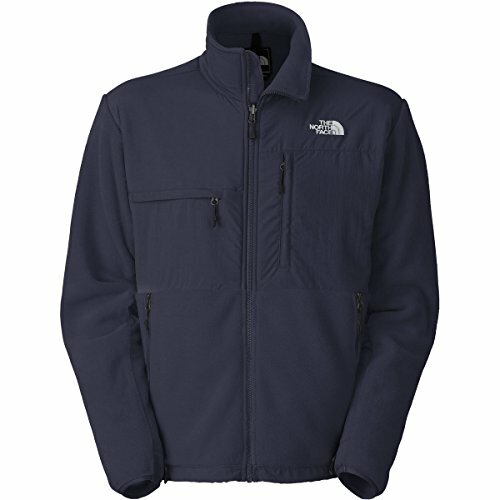 And a really good one to use as a middle layer is the North Face Denali Fleece. As this is made of a soft and breathable fabric, so it's comfortable to wear and won't retain moisture. And the fleece does a great job of keeping you warm too. Again there are cheaper fleeces available such as the Amazon Essentials Polar Fleece that will also keep you warm so shop around. But as something you'll use everyday during the winter you'll get your moneys worth out of this one. Your outer layer is your first defence against the sometimes brutal elements of working outside in the winter. So for this reason it needs to be able to stand up to strong winds, rain, frost, and snow to keep you warm and dry. So if you want a great jacket that does both of these things really well treat yourself to a RefrigiWear Extreme Softshell Jacket. This jacket is powerful as it has been designed to withstand working in temperatures of up to -60 degrees celcius! And it provides great protection against the wind and rain while also being breathable so you won't overheat. There is also a reflective interior that traps in warm air to keep you warm. And if you start to feel too hot there is a double front zip which allows you to unzip the inner one to let some hot air out and regulate your temperature. 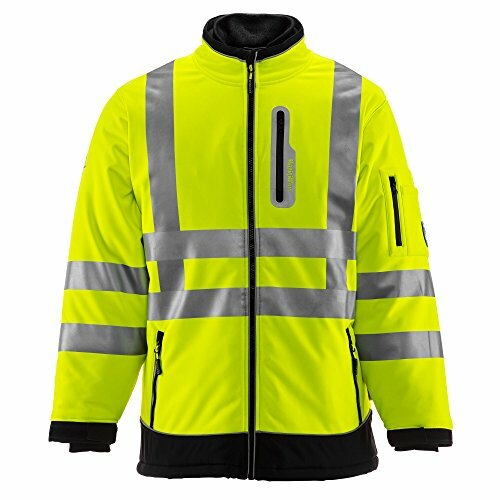 It's also Hi-Vis so it's fully compliant with construction site requirements for health and safety. And a bonus is it's not as bulky as some other jackets, which means you'll have a better range of movement as you work. So it's pretty ideal for working outside in the winter. And once you've got your layers sorted like this you will have a much better chance of staying warm and dry throughout the winter. Which is great news for your muscles and joints. Just make sure that each of these layers fits you well and doesn't restrict your range of movement while you work. Because moisture from wet clothes will get on to your skin and lower your body temperature. As important as it is to keep your body covered and layered up correctly, don't forget about your head and neck. Because you can lose a lot of your body heat through these areas. ​So you need to make sure you keep both your head and neck warm by wearing a garment that holds the heat in. And while your hard ha​t is useful for protecting your head, when it comes to heat retention it just isn't going to cut the mustard. So a good idea is to wear a thermal head and neck liner that fits comfortably underneath your hat. And as a bonus it'll also keep your ears warm (if you're anything like me you'll hate the feeling of numb and frozen ears!). So a good example of a liner that would work well for construction workers is the N-Ferno 6842 Thermal Hard Hat Liner. As it fits perfectly underneath your hard hat and comes with hooks and straps to secure it comfortably to it. It'll also cover your whole head and neck. And my favourite part....it comes with ear warmer pockets built into it! 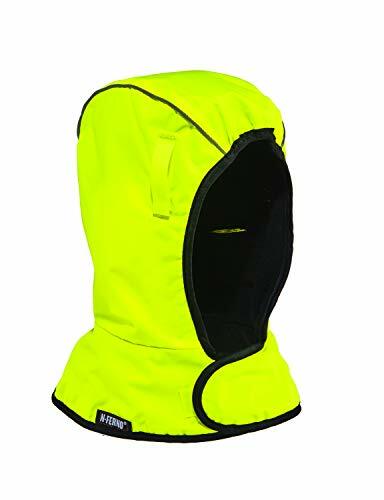 When you add in the fact it's hi-vis too it's the perfect hard hat liner for keeping your head and neck warm on a construction site. It's really important that you keep your hands and feet warm when working outside in the cold. Because when you are outside in the cold your hands and feet will be the first things to suffer. As your body will shift into survival mode to protect itself by constricting the blood flow to them and instead increasing circulation to your core. This is why you hear of explorers and people left out in the extremes for too long losing fingers and toes from frostbite yet still surviving. ​Now the best gloves for you will depend on the type of construction job you are doing. 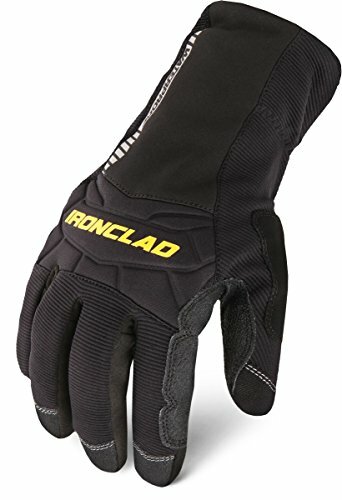 But a good all-rounder for working outside in the cold are the Ironclad Cold Condition Waterproof Work Gloves. As the name suggests these are waterproof and windproof so are ideal for protecting your hands while working outside in extreme conditions. Plus they're insulated and warm to keep your fingers and hands happy as you work. They're also rugged and durable enough to stand up to heavy site work. Just like your hands, your feet also suffer from a restriction in the blood flow to them when you are outside working in the cold. So rather than walking around on two blocks of ice all day, you need to keep your feet insulated, warm, and dry instead. For instance, the ideal work boots for cold weather should be insulated and waterproof. And they should also have a great grip on them to avoid slips and falls in icy and wet conditions. As well as a composite toe rather than a steel toe cap. This is because steel toe caps absorb the cold and this can make your feet feel cold as a result too. And you'll want a pair that fits well and has good arch support too, as this takes the strain off your lower back as you work. 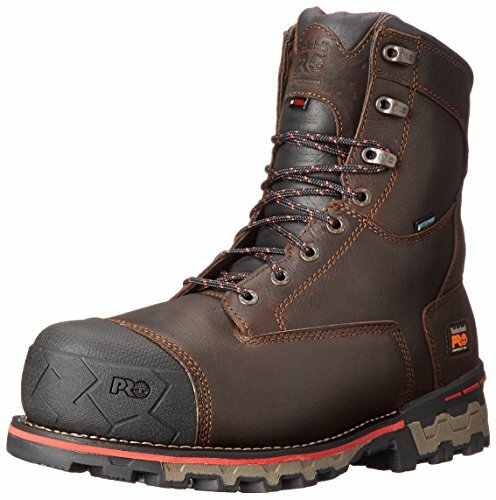 So a pair of work boots that tick all of these boxes are the Timberland Pro Boondock Waterproof Work Boots. And as an extra layer of protection it can be a good idea to wear thermal socks inside your boots for when things get extra cold outside. You can even double layer these if one layer isn't enough. But if you get the right pair of boots these should be more than enough to keep your feet warm and your toes ice free! Now if you've been following the advice up till now you will already be covering yourself up nicely. Because the less skin that is exposed to the elements when you are working outside the better. As covering up will help you to retain body heat and stay protected from the elements. However, no matter how hard you try there are always some parts of you that will be left exposed. And this will usually be your face, eyes, and nose, which can cause you different problems. Now this isn't so much about staying warm as it is about staying healthy and able while working in the cold. Because you could end up with wind burn, rashes and worse on your skin if you're not careful. For instance, applying barrier cream to exposed skin works like a coat of weathershield paint does on an exterior wall in that it provides a layer of weather protection. Also, using plenty of moisturiser on your face after your shift will help to keep your skin healthy. And use a chapstick to stop your lips for drying and cracking. You also need to protect your eyes when working in the cold as they can dry out and become sore and irritated. And doing this is important for two reasons. Firstly it will prevent your vision from blurring. And it will also help you to avoid picking up winter illnesses like colds and flu which can enter the body through your eyes and nasal passages. 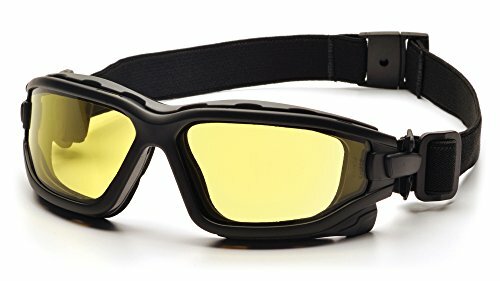 So if you're working in high wind-chill conditions consider wearing a pair of wrap around goggles to keep your eyes safe. A pair like the Pyramex I-Force Safety Goggles will do the trick nicely. Being outside in the cold for prolonged periods of time will eventually cause you damage. Because no matter how well you wrap up and protect yourself, the longer you stay out in the freezing conditions the more the cold will begin to seep through. So it's vitally important to schedule regular breaks where you can get out of the cold and warm yourself up again. Which is why having a warm break room or area on site is really important. And if you don't have one at present (you really should as a health and safety requirement) then you can create your own. So find an area where you can make an enclosed space using tarpaulin or plastic sheeting to cover open windows and doors to keep the wind out. 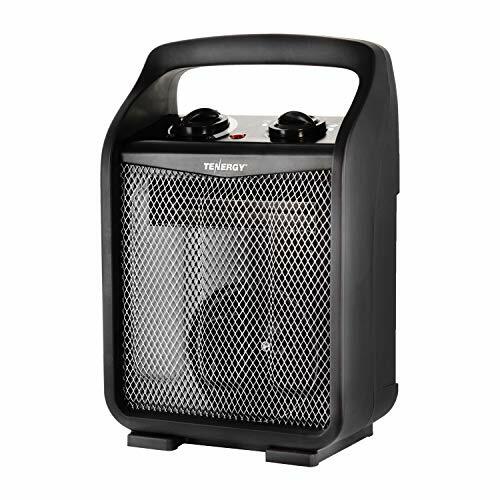 And invest in a portable heater such as the Tenergy Electric Fan Heater so you can keep it warm. This will help you to defrost and give your body the recharge it needs to go out into the cold once again. What better way is there to warm up your cold body on one of your breaks than to enjoy a steaming hot cup of tea or coffee? As that warm feeling you get from each gulp is absolute bliss and makes you feel warm inside instantly. 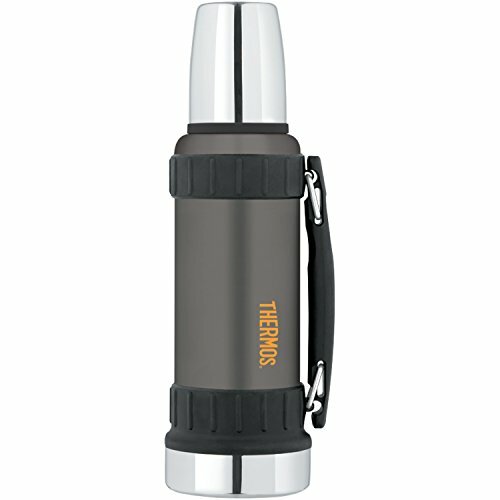 So if you don't already have a kettle on site, get yourself a thermos flask so you have a hot drink on hand whenever you need one. But don't just limit yourself to hot drinks, as a warm meal can really help you too. For example, soups are brilliant for warming and nourishing you when you are working in cold conditions. And if you're lucky enough to have a microwave on site then the culinary world is your oyster! Also make sure you eat more and at regular intervals while working during the winter as you'll use up more energy in the cold. So it's important that you eat enough to keep your energy levels up for the work ahead. So by giving your body the right fuel you are giving it the best chance of fighting off the cold. Now as a construction worker I'm sure you are working hard while you are outside in the cold anyway. I mean why wouldn't you want to just get the job done and get the hell out of there right? But if you're a lazy so-and-so then working in the cold gives you the perfect excuse to shape up. Because even if you're wrapped up under tons of layers of the best thermals and fleeces that money can buy, it will make no difference if you are just standing around like a snowman. ​This is because our bodies generate heat by moving around. So you need to be constantly moving while you are outside in the cold to keep warm and protect yourself. As when you move it raises your heart rate, body temperature, and increases the blood flow to your muscles. And it's also a good idea to warm your body up with a few stretches and exercises like the ones in the video above before you go out into the cold. As going out with warm rather than cold muscles will give you a head start against the conditions. Working outside during the winter can be a real pain and seriously dangerous to your health. And on top of that it can cause you muscle and joint pain unless you take the right precautions. So try and follow some of the recommendations in this article to give yourself the best chance of staying comfortable, healthy and pain-free on your construction site this winter.